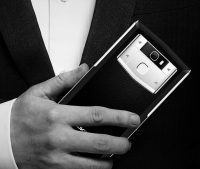 OUKITEL is starting the Global first Presale for the full screen smartphone OUKITEL K6. It packs latest popular 6 inch 18:9 display, 6300mAh battery, 6GB RAM and Helio P23 Soc. On December 25th, 2017, the last week of the year, OUKITEL is cooperating with Banggood to launch the powerful long lasting smartphone OUKITEL K6. As the first device that carries MediaTek Helio P23 Soc, OUKITEL K6 is amazing us not only with super large 6 inch FHD+ full display, but also by its high enhanced performance. OUKITEL K6 is getting a narrower top, bottom and sided edge, giving you the most amount of screen in the lest amount of space. It features a 6 inch FHD+ display with 2160×1080 resolution for great visual experience, 5 points multi-touch on the Incell display offers more favorable touch experience, while the 18:9 aspect design fits perfectly comfortable in your hand. Besides the perfect design, OUKITEL K6 also offers excellent handling experience. K6 is powered by MediaTek Helio P23 Octa-core Soc with 8 cores of 2.0GHz and Mali G71 2700MHz GPU. It also gets 6GB RAM and 64GB ROM with expansion of 128GB for flagship experience. NFC is also supported for android pay and entrance access, and Android 7.1.1 is pre-installed out of box. Not only the large display and powerful performance, K6 performs perfect in camera. It offers dual-lens 21MP and 8MP rear camera with PDAF tech for fast focus. 13MP and 8MP front-facing camera also packs a flash light for great selfies. In low light condition, you can take great photos. OUKITEL K6 will be available in 2 colors: black, blue. The frequencies are 2G: 850/900/1800/1900, 3G: WCDMA900/2100, 4G: B1/3/7/8/20. 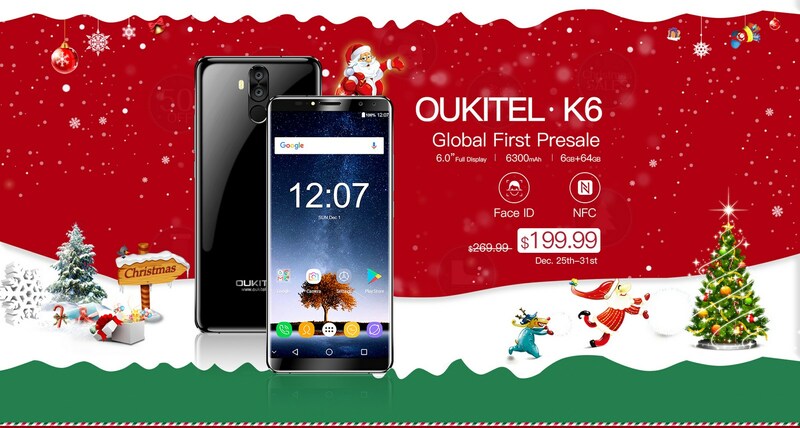 OUKITEL K6 Global First Presale is starting on Christmas on Banggood from December 25th to December 31st. While the original price is $269.99, OUKITEL and Banggood is offering $199.99. For more details about K6 and first sale, visit OUKITEL official website K6 Page.